So, you’re invited out for an evening, and the next thing you know a bottle of cognac is brought to the table. 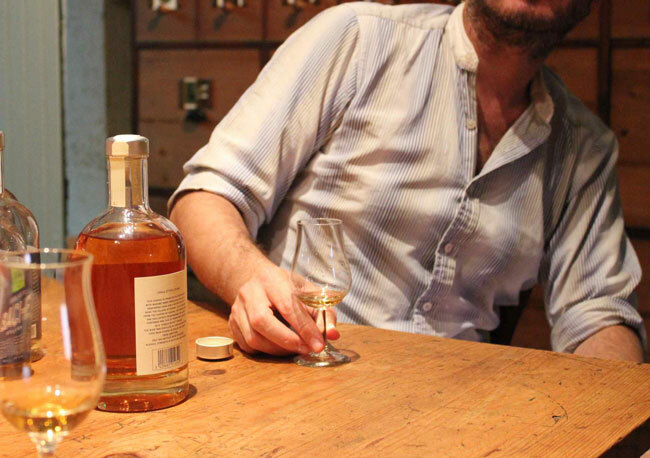 Everyone around you happily nods, making knowledgeable remarks about cognac – and you too need to fit in. So, you’d better be prepared. 1. Go to cognac-expert.com before meeting with your friends if you know what kind of cognac will be served: Read the tasting notes and comment on the cognac and casually drop them into the converstation whilst tasting the cognac. 2. If you’ve been provided with an ordinary, un-cognac-ish glass, say: “It would be great if you had a tulip or a balloon snifter.“ Also ask if someone knows the Norman Copenhagen glass and say it’s your favourite, and that Riedel glasses are great too. (Handy hint – before you go to the party, have a look at these cognac glasses). 5. Ask to see the bottle before you drink. If there‘s a “V“ in an age term word (like VS, VSOP) the cognac is probably younger. If you can’t find the “V“ (like XO, Napoleon, Hors d’Age) you have an older one. Don’t tell anybody this rule, just mention casually that this is an older bottle.. but take care not to confuse the age term with the actual producer of the cognac – such as in a name like “Voyer“, because that doesn’t count as a V.
7. Stress that it’s amazing that the french actually don‘t drink that much cognac, preferreing whisky. Only 1-2% of the produced cognac remains in France, the rest is exported. 9. If you feel that the cognac doesn’t burn you entirely after having sipped, say “The finish is rather mellow/soft/smooth … I like it.“ – but do take care not to say that if you ‚re drinking a VS cognac. 10. If your hosts do serve you a VS Cognac (youngest quality), smile engagingly, and ask for one of the following; a.) an ice cube b.) some tonic water c.) Sprite/lemonade „and say it’s because that’s what you prefer to do with very young cognac. So that’s it; the Cognac Expert guide on how to fake being a cognac connoisseur. Good luck! Will Bruce Willis come to the Rescue for Gautier Cognac? I got 3 bottles for my 40 th anniversary in 1969 – but will they last forever? Or, you could just enjoy your drink and not act like a douche. Where are the “trust” stores that sell France cognac “Martell XO” sell in USA???? We found that only the Chinese Market and Vietnamese stores sale the Martell XO cognac in California. But it taste really not suppose to be as an outstanding as a Martell XO cognac when we’re purchased from oversea! Dear Nguyen, you should trust https://www.cognac-expert.com which is our Cognac online store with more than 700 different cognac bottles in stock. Guaranteed authentic & original products, which we stand for with our family name.